Almond toffee available in 2 sizes. Homemade goodness in every crunchy, buttery bite. Our almond toffee is truly addictive. It can be frozen or refrigerated to maintain it’s freshness and quality. 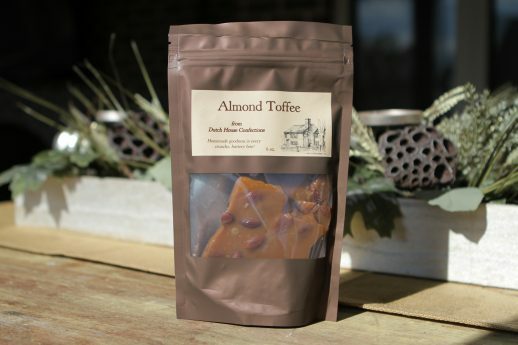 The toffee is naturally gluten free and made in a peanut-free facility.